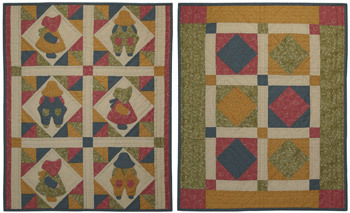 The Four Plus One Equals Fun pattern series utilize four prints plus one background fabric cut in fat quarters for the creation of the quilt top, binding and pieced backing. 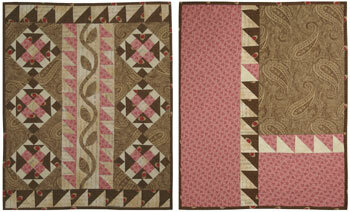 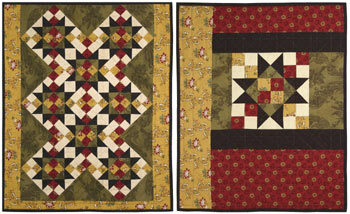 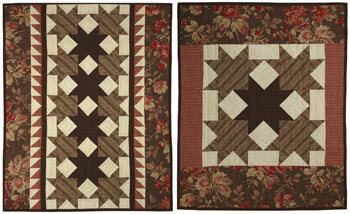 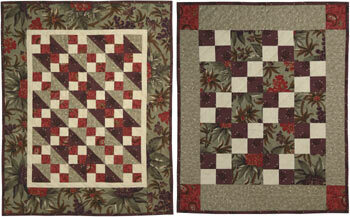 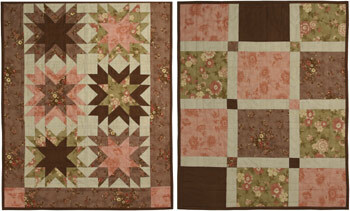 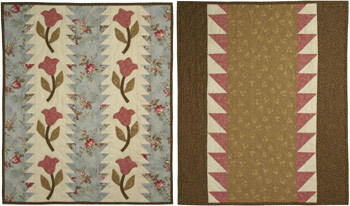 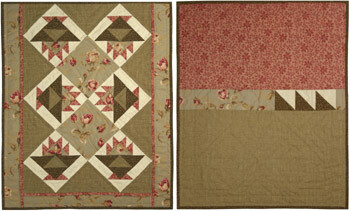 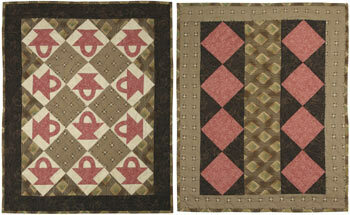 Includes color images and directions for making the quilt top and pieced backing. 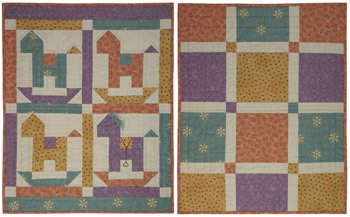 Fabric charts provided to assist in cutting the pieces when using 5 fat quarters to make the quilt. 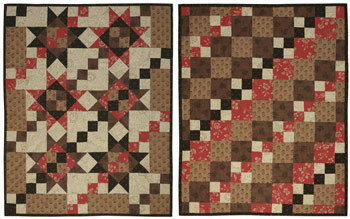 Great for classes, clubs, kits, gifts and for having lots of fun! 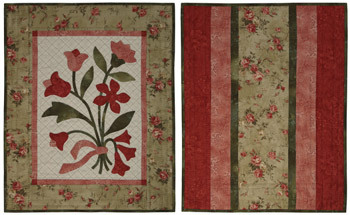 Note: Images show the quilt top and pieced backing. 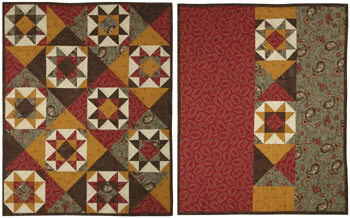 Four Plus One Equals Fun: Oh My Stars! 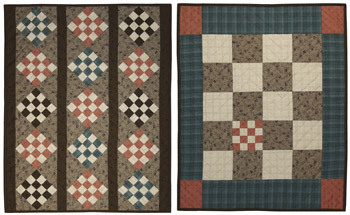 Four Plus One Equals Fun: Checkers Anyone?